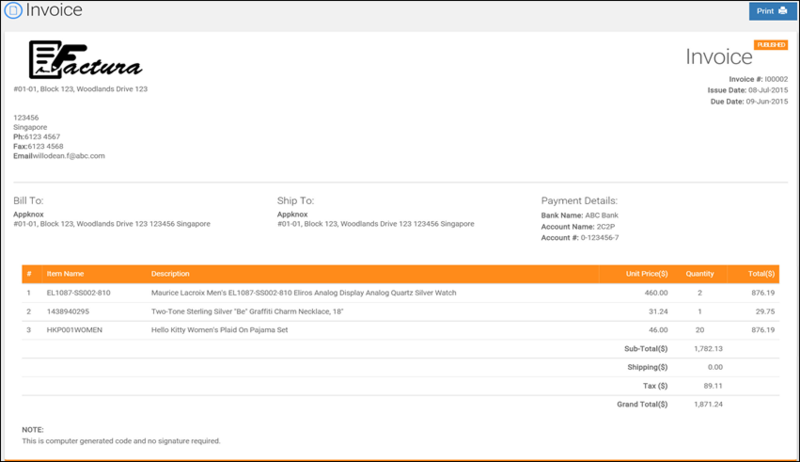 Factura is the online invoicing system for professionals and SMEs. Factura is simple, intuitive invoicing software on cloud designed to solve your invoicing headache and tracking collection. Subscribe now for 14 days free! See Our Subscription Plan Here! Created invoices are available for your customer 24/7 online. There is no quantity limitation in invoice creation. Factura will allow you to create unlimited invoices. Factura is the online invoicing system for professionals and small and medium size businesses. Factura is simple, intuitive invoicing software on cloud designed to solve your invoicing headache and tracking collection.